As a construction worker in The Bronx, you can carefully follow all safety precautions and procedures. You can wear the required protective gear and report safety issues as soon as you spot them. But what can protect you from an unstable floor under your feet or an unstable roof over your head? For more than 30 years, the Bronx personal injury lawyers at The Orlow Firm have worked to protect the rights of injured construction workers injured by fire, explosions or building collapses. We truly care for each of our clients, and we treat each case as our most important case. Our approach helps us get our clients the results they deserve. Have you been injured in a building collapse? 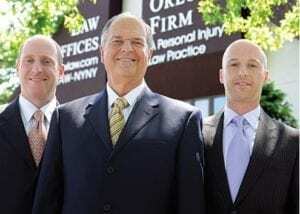 Schedule a free consultation with The Orlow Firm. Call (646) 647-3398 or contact us online. Workers injured in a collapse are possibly eligible for compensation from not one, but two sources. The first is workers’ compensation. The second is a third-party claim. Third-party claims can be filed against owners, subcontractors, contractors and parties other than your employer that may be liable for your injuries. It makes sense to work with an experienced attorney to investigate your third-party claim options as the compensation from a third-party claim almost always exceeds workers’ compensation benefits. If you were injured in a building collapse, contact The Orlow Firm for experienced personal injury counsel regarding third-party claims. We offer free initial consultations and operate four offices across New York City for your convenience. We can go to you if you cannot come to us.